Want to win a share in prizes valued at $15,000 for your wedding? 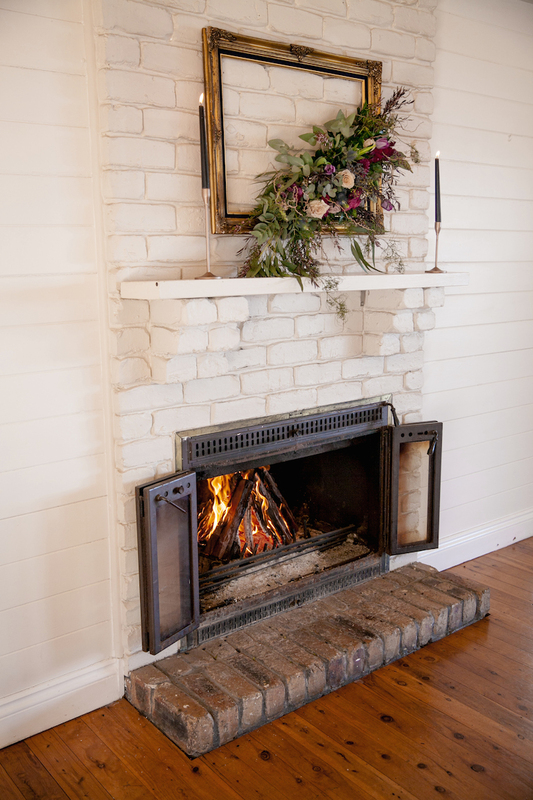 Winter wedding styling is some of our very favourite kind, especially when it involves a fireplace and our famous Sunshine Coast hinterland. When looking for the perfect location for our Depths of Winter styled shoot, Maleny’s purpose-built reception venue, Weddings at Tiffany’s was the clear choice. We brought in decor with geometric elements, metals and deep colours to create a moody and modern winter wedding style. 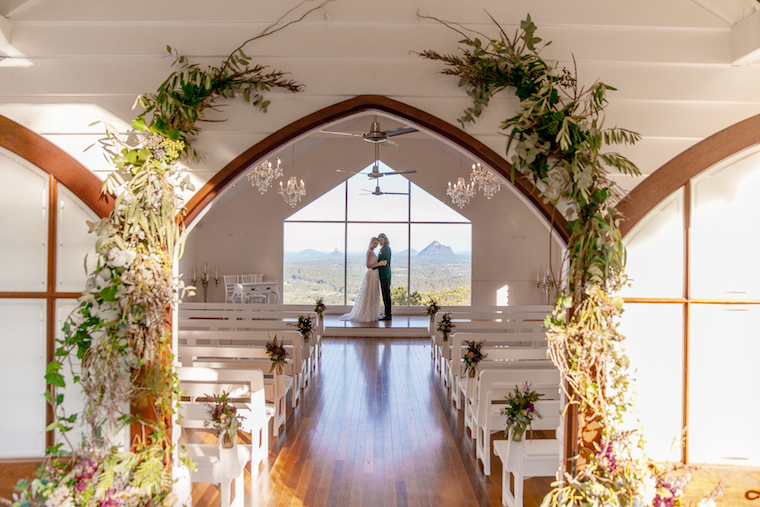 Florals and candles were an important element, however nothing beats the view of the Glass House Mountains on a clear day in Maleny. More winter wedding styling in our Winter 2017 edition of The Bride’s Tree free online magazine. Weddings at Tiffany’s is generously giving away $15,000 in prizes, open to couples who make a new booking from now until January 25, 2018. First Prize – $10,000 towards your Wedding Celebration Function here at Weddings at Tiffanys. Second Prize – Over $5,000 worth of Wedding Supplies & Services from the following trusted & recommended suppliers. Skylighter Fireworks, Bill Scurry, Elizabeth & May, Tiffany’s Flowers, Marilyn Crystelle Bridal, Deluxe Kombi Service, Hair 4 Brides & Makeup 4 Brides, Simply Style Co. & The White Tree. Third Prize – A $200 Voucher to be used at Weddings at Tiffanys “Month of Love” Promotion in February 2018. To be in the running to win, book your wedding for an available date between March 1 2018 and December 16 2018 at Weddings at Tiffany’s! Competition closes at 4:30 AEST on January 25, 2018.